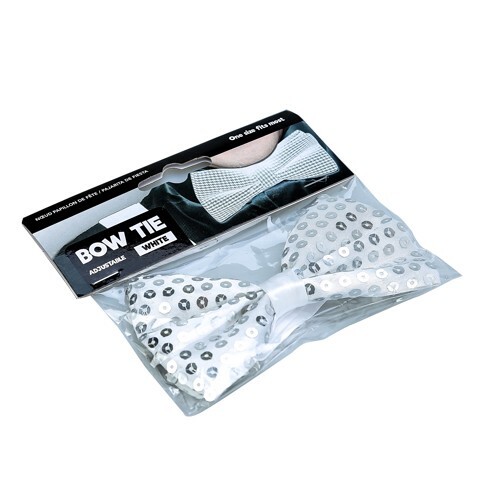 Dress Up Party Bow Tie White. 13 x 6.5cm. White. Polyester Sateen. 15g Packaging: OPP Bag and Backing Card.